Although Barcelona is a safe city to move around in, where motor vehicles, bicycles and pedestrians coexist smoothly, there are wide avenues in the city centre with dense traffic where pedestrians need to take extra care. You must always walk on the pavement, leaving a safe distance between you and the road traffic, cross the street at pedestrian crossings when the traffic light is green for pedestrians, and at crossings where there is no traffic light, ensure that there are no approaching vehicles before crossing, taking special care with vehicles that are turning, because they have less visibility. Do not run across the pedestrian crossings. Children should be held by the hand and they should be taught to obey the highway code: never cross on a red light, even when no cars are approaching. And above all, avoid walking on the bicycle lane or the road. The Mediterranean climate and the size of Barcelona make walking around the city a pleasure. There are lots of different walks to be done: the old neighbourhoods, like the Gòtic, Ribera, Raval and Barceloneta, invite you to wander around narrow streets, following your intuition to find interesting places. But you can also choose themed routes, in order to organise and make the most of your walk. If you want to make the best use of your time and see more than one neighbourhood in a day, the best option is to use public transport and start walking when your reach your chosen destination. You can walk around the city, but sightseeing on foot is tiring. If it is a sunny day, you can always stop off in one of the city's parks or gardens to get your breath back. There are a lot of city routes to be found online. There are even associations that organise walks which combine urban routes and nature. These make it possible to discover places in Barcelona that border on its surrounding hills, which are difficult to get to without a guide. 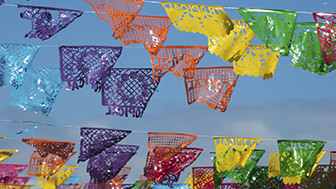 Within the city, you can also opt for themed routes related to history, architecture and art. Visiting medieval Barcelona is one of the most thrilling city routes. The power that the Catalan-Aragonese Crown had over the Mediterranean during the Middle Ages left behind a valuable heritage of palaces, churches and public buildings. They are mostly to be found in Ciutat Vella and the majority of them are open to the public. Modernisme, or Art Nouveau, impregnated the city's architecture at the end of the 19th and beginning of the 20th centuries, and its legacy is still very much alive today. The movement's most renowned architects, Lluís Domènech i Montaner, Josep Puig i Cadafalch and Antoni Gaudí, left behind buildings of great beauty in the Eixample. But Modernisme also extends to other neighbourhoods in the city; beautiful lesser-known buildings that are also a must. 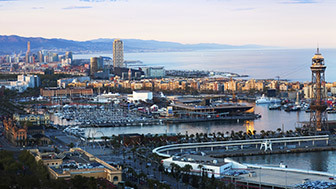 Within the old neighbourhoods, adjacent to historic areas, the city has modern buildings that began to appear at the time of the 1992 Olympic Games and which have become icons of contemporary Barcelona. These buildings were designed by the greatest architects of the latter part of the 20th century, including Jean Nouvel, Norman Foster, Rafael Moneo and Ricard Bofill. The Vila Olímpica and the Fòrum area are good examples of post-modern urban planning at the service of the people. Barcelona is a green city, full of parks and gardens, next to the sea and within reach of the mountains. 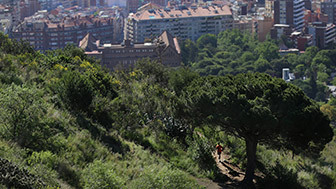 Parc de Collserola, the lungs of Barcelona, is an extensive, inexhaustible park. Montjuïc is well-known, above all for its and its gardens views of the city. Fountains, sculptures and lakes are present in most of the urban parks, including Ciutadella, Cervantes, Oreneta, Park Güell and Nou Barris. They are all there, waiting to provide wayfarers with sunshine and shade.